Made using Red Cedar Wood. Wording is routed out and painted white. Can be left plain. Got a question? 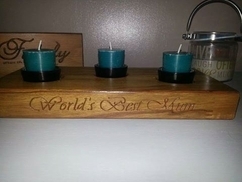 Message Palmers Wood Craft. All item's are handmade so please allow 1-2 week's for dispatch unless otherwise stated. Item's which are personalised are not included in the refund policy unless faulty. 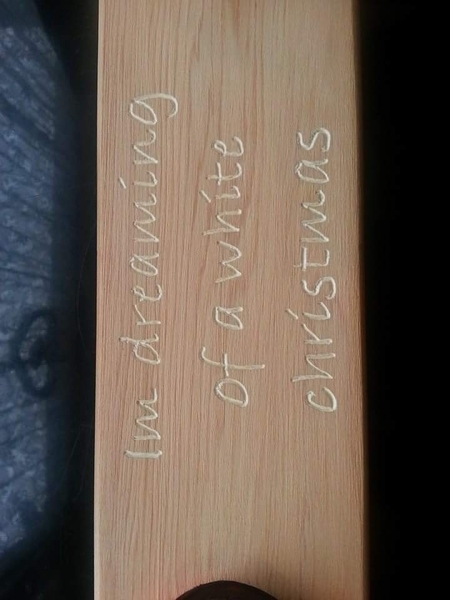 Solid Timber* kitchen chopping board/block Beautifully hand crafted Treated for protection Looks great in any kitchen. Makes an ideal gift. Size w 250mm, l 325mm, t 45mm Please remember the chopping board..
Made using Red Cedar Wood. Wording is routed out. 'Christmas at the surname. Add your name. Piece is varnished. Feet are added to protect your furniture. 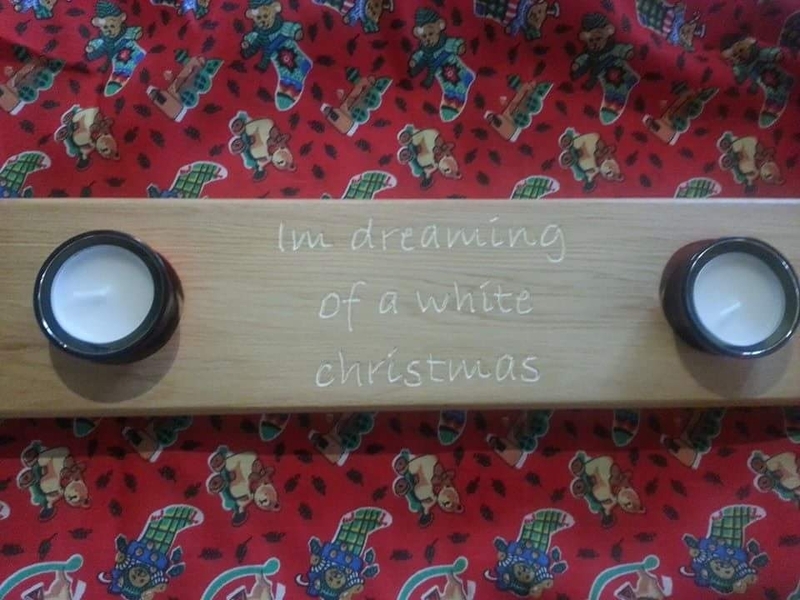 Holder's and tealights are included. Wooden house no square door sign. This can be placed on a wall or gate also. Stained and varnished for external use*. No's are hand routed and painted. Please state the no you require. solid oak *Usual.. Beautifully hand crafted coasters. 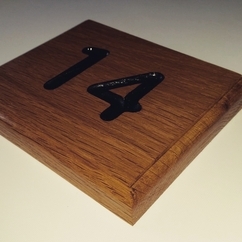 Each set of 4 is cut and made from reclaimed timber. Each one is stained and varnished. Rubber feet are used for protecting your furniture. These make a gorgeous gift.. Handmade chopping board Breaking bad inspired chopping board This item is made out of solid beech It is handmade and the image and writing is hand carved Size l 350mm, w 205mm t 45mm The item is.. 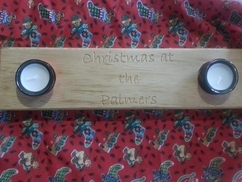 Solid Timber hand-crafted candle holder. Worlds Best (name) routed out on the front. 3 staggered candle holders on top. Glass holders and candles included. A butterfly design routed out on the top.. Handmade chopping board with a tree design carved into the timber. Item size w 325mm, l 325mm, t 45mm, The item in sanded and vanished 3 times to insure a smooth finish Please remember the chopping.. Solid timber* wall hanging sign. Family surname is hand routed into a piece of hardwood. Painted and the whole piece is stained and varnished. Hangs with natural jute. Perfect gift. *Timbers may vary..
Handcrafted beech Santa platter. All wordings and Santa's face have been routed and stained. These are very chunky and heavy. Add your child's name. Perfect for Christmas eve. 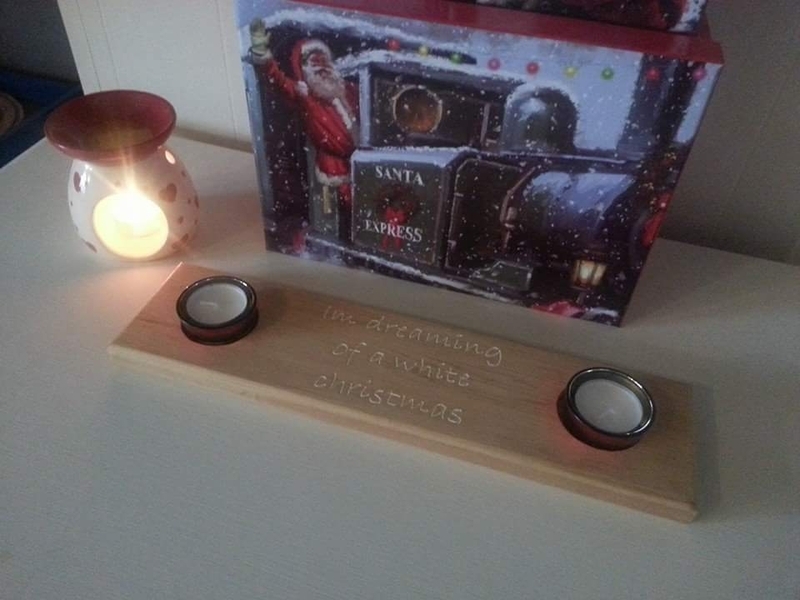 *Beech * Personalised *..
A set of 3 wooden blocks to make a Christmas countdown tower. The top block has a blackboard front. Each block has Christmas themed paper's attached. Lightly distressed for a vintage look. 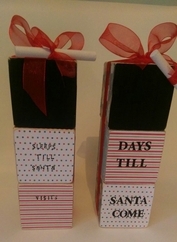 The blocks..
Christmas wooden countdown free standing plaques. Wording can be personalised with your child's name or family surname. There are 3 styles available all have a hole on top to place the chalk. 1- A traditional..